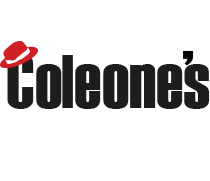 TOMORROW (September 22nd) is our Coleone's Pizza "Dine-In" Fundraiser! Make breakfast, lunch or dinner super easy and support a great local business! This fundraiser will run from 6:00am to 9:00pm and is good for both dine-in and carry-out. Tell your friends, family and neighbors to dine-in or carry-out at Coleone's Pizza tomorrow and make sure to bring in the attached flyer when picking up your carry-out order or cashing out with your server. Coleone's will donate 20% of all food orders to our group! NOTE: This offer does NOT apply to delivery orders.